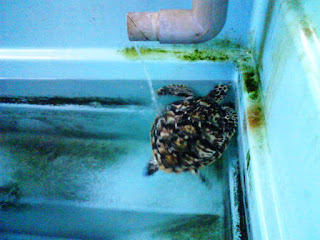 Soooooo many stories to tell about my trip to Pramuka Island. 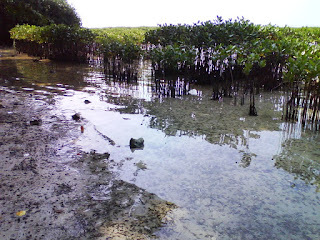 10.30-12.00: journey to Muara Angke. Unfortunately, we came to the wrong place and spent more time to find the other groups. Muara Baru is not Muara Angke. So stupid. 07.00-07.30: Preparing the masker, snorkel, and fins. Tried them whether it was fit or not. 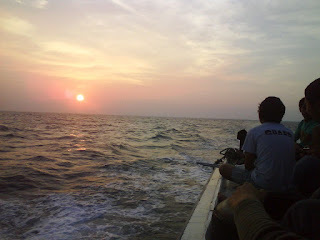 07.30-08.30: journey to Semak Daun Island. Practising and preparing, also stretching our body for the next sea depth. 08.30-10.30: moving to the dive spot. 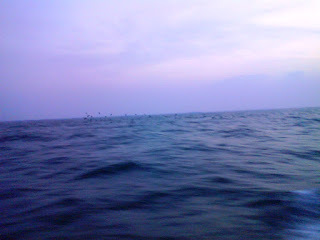 We didn't dive, we were snorkeling, so the depth of the sea was about up to 5 meters. Mostly we took a pic, for real. 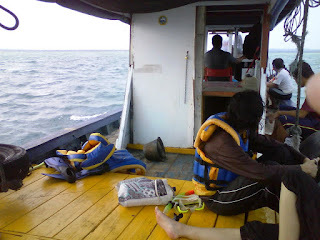 10.30-11.00: journey back to Pramuka Island. 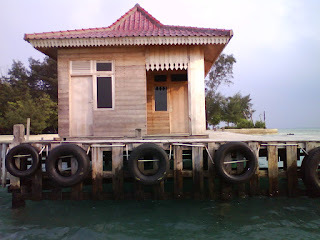 We needed to hurry because the boat to Muara Angke available only on 7 am and 1 pm everyday. 13.00-16.30: waiting at the dock because the boat suspiciously didn't arrive in time. 16.30-19.00: journey back to Muara Angke. The wave was higher and more dangerous. 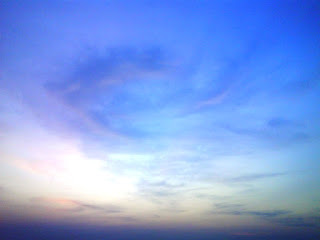 Moreover, we sat on the roof of the boat. The wind also made it more "interesting". 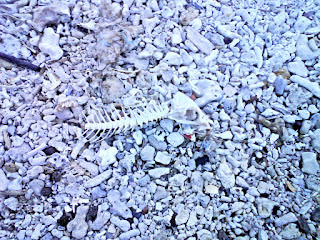 I took the pictures using my mobile phone because my digicam was on repair. Mostly somethings unique and unusual. 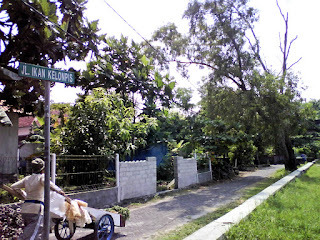 If you take a look on the street board, LOL, it was Ikan Kelonpis Street. It should be Clownfish. Nemo, remember? 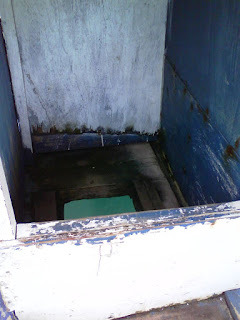 Toilet on a boat. The hole was directed to the sea. The boat we took on for snorkeling. I took the pic beside the toilet. It was my second trip to Thousand Islands. I hope everybody could visit Indonesia, and also Thousand Islands. Viva Visit Indonesia Year 2009! !